It’s that time of the year again when we reach for our recipe books and recipe cards to find the most delectable Christmas cookies recipes and prepare them for our loved ones. This year, I am adding a few new-discovered recipes to my traditional cookie menu. 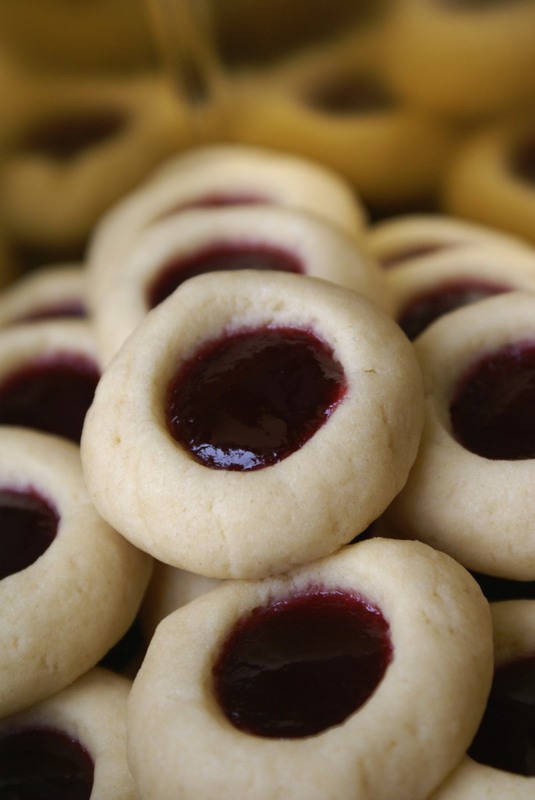 These Cream Cheese Thumbprint Cookies are so silky and delicious and they just melt in your mouth. 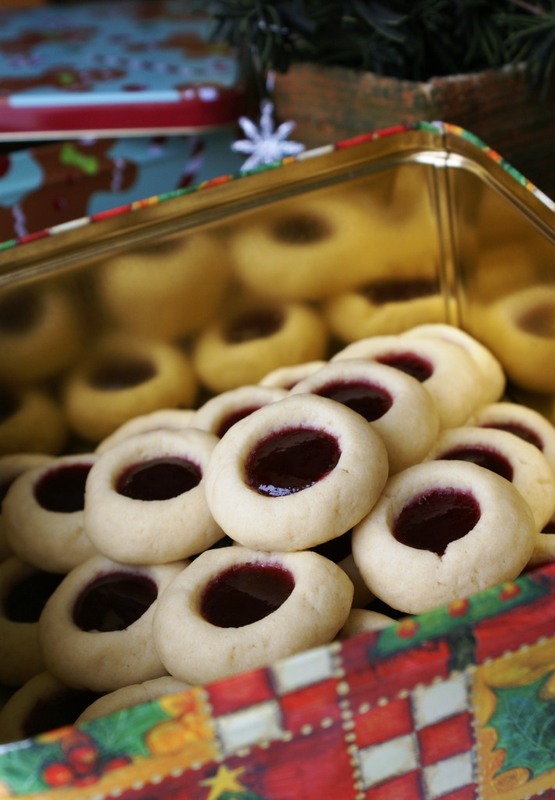 Fill them with your favorite jam and enjoy the sight and the taste! In a large bowl cream the butter, cream cheese and sugar until light and fluffy. Beat in egg yolk and vanilla. Add flour and mix well. Cover and refrigerate for about 1 hour or until easy to handle. Shape dough into 1 inch balls. Place two inches apart on a baking sheet covered with parchment paper. Using the end of a wooden spoon handle, make a deep indentation in the center of each ball; fill with about 1/2 tsp jam. Bake at 350 F (180 C) for 10-12 minutes or until set. Remove to wire racks to cool.